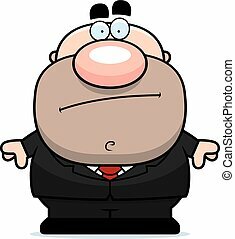 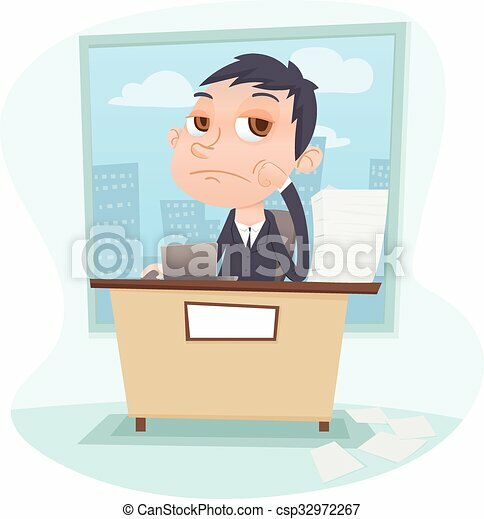 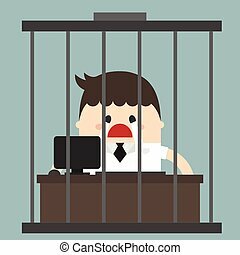 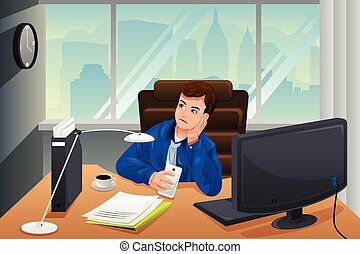 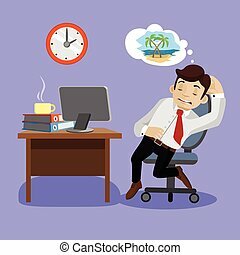 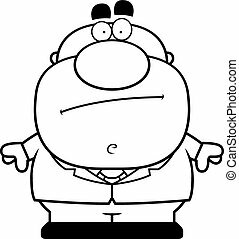 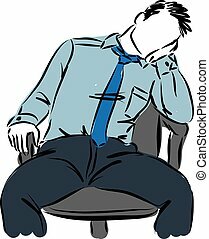 Cartoon bored businessman sitting at working desk. 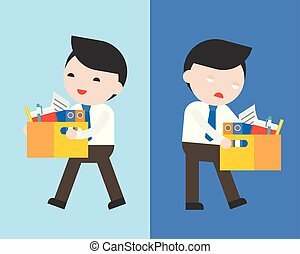 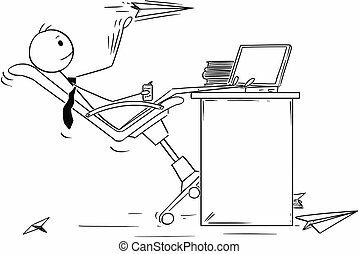 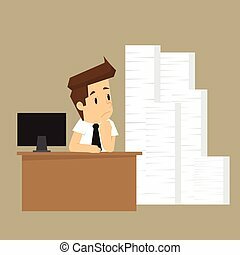 Cartoon stick man drawing conceptual illustration of bored businessman throwing paper airplanes at work. 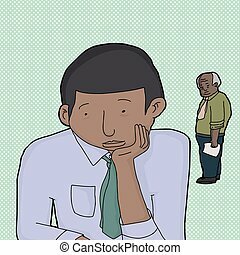 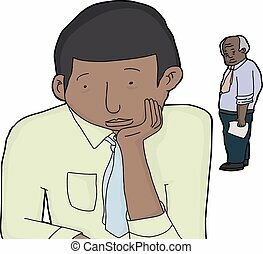 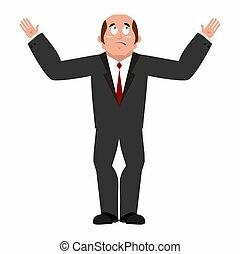 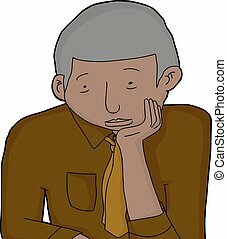 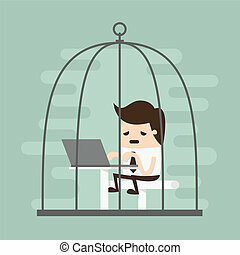 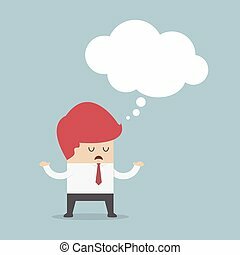 A cartoon illustration of a businessman looking bored.